Designed by Alvar Aalto in 1950, the adorable globe-shaped fixture brings a light-hearted elegance to his sophisticated lighting collection. 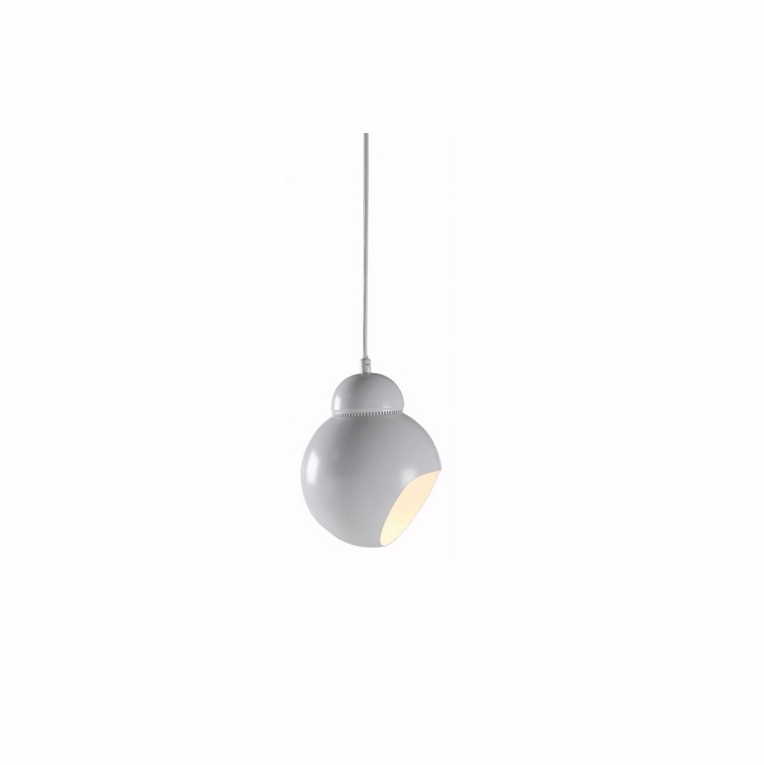 The circular shade is made from painted white steel and seamlessly surrounds the light bulb, leaving a curved cutout for the light to shine through.Please review our Shipping Information page before ordering. Payment: 50% will be charged at time of order, remainder will be charged at time of shipment.